Kollywood Actor Vijay’s father and director S.A.Chandrasekar(SAC) has acted in Dhanush starring “Kodi”. It is said that he is playing an important character in the movie. “Kodi” movie crew addressed the media yesterday at a media meet held in Chennai. Durai Senthilkumar the director of the movie who spoke to the media persons said that SAC initially refused to act in the movie stating that he would act only in movie directed by him. He also added that once SAC had reached home and discussed about the story with his wife. Vijay’s mother and SAC’s wife Shobha after listening the story and coming to know that the Dhanush is playing the lead role in the movie, she has strongly requested SAC to accept acting in the movie. It seems she has expressed her feelings that she and others in the family are fans of Dhanush. 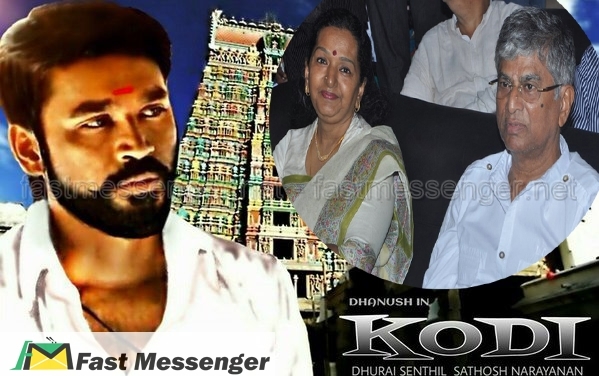 It is only with the request of wife Shoba, S.A.Chandrasekar had finally accepted to play a character in “Kodi” says movies director Durai Senthilkumar.